Seton offers a variety of Waste Disposal products, including Steel, Poly, Overpack and Lab Drums and accessories. Hazardous Waste Bags are also available for easy clean-up. Drums safely contain hazardous liquids, flammables and more. 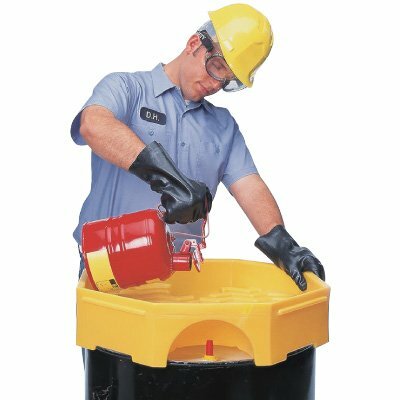 Overpack drums safely contain hazardous liquids, flammables and more. .
Enpac poly-overpack salvage drums safely contain hazardous liquids, flammables and more. Lab pack drums safely contain hazardous liquids, flammables and more. Some items can not be disposed of in a traditional garbage can or dumpster. Chemicals and other potentially hazardous substances will need to be disposed of according to federal and state laws. 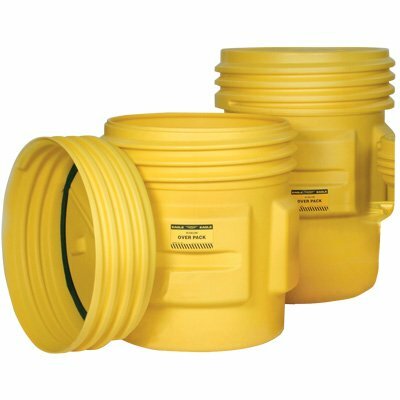 For various Disposal needs, Seton offers several varieties of drums and other disposal equipment. Check out their selection, including: Steel Drums, Hazardous Material Waste Bags, Drum Liners & Dust Cap Covers and more.